Customized Bubble Covers for In-ground Pools There are 7 products. 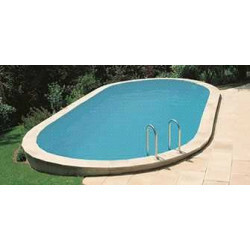 Your Sol+Guard made-to-measure bubble cover starting from 6,85€/m2. With just a few clicks you can calculate the price for your Sol+Guard bubble cover with our online calculator. Made in France. GeoBubble made-to-measure bubble cover starting from 6,75€/m2. You can easily calculate the price for your GeoBubble cover with our online calculator. Made in France. Made-to-measure bubble cover starting from 4,85€/m2. You can easily calculate the price for your bubble cover with our online calculator. Made in France.